It’s easier to marginalize people when you don’t know their history. A recent “Thumbs Up” in the Coloradoan has shined a light on the fact that some residents are apparently unaware of a significant part of Fort Collins’ history. Not knowing our local history affects how we view our community today. We may think that people from this or that group are interlopers, when it turns out that they’ve been here even longer than our own families. 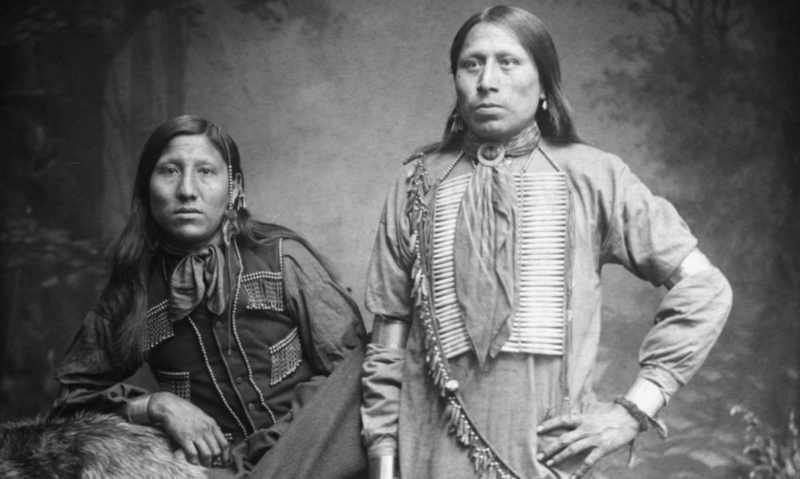 Changing Crow (seated) and companion — both Dakota Indians. According to the 2010 Census, only 0.6% of residents within the city of Fort Collins are Native American. That means that, despite what people’s bumper stickers might say, 99.4% of residents are NOT Colorado Natives. As Stephanie Meeks explained in her recently published book, The Past and Future City, “Americans are bound together not by blood or common ancestry but by a commitment to the same democratic ideals and the democratic story we tell ourselves. So we have to ensure that all Americans can see themselves in it.” That means including the history of all people groups not only in our history books, but in our historic preservation projects as well. The historic preservation program in America started in 1966 when President Lyndon Johnson signed the National Historic Preservation Act. The movement has grown and changed over time. Older history books tend to focus on the rich, the powerful, and to a great extent, men of European descent. The historic preservation movement followed suit, preserving grand, expensive buildings because of their architecture. Or saving buildings that were associated with powerful, rich white men. A lot of those buildings are intimately related to our origin story, as a nation and, closer to home, as a city. But these weren’t the only people who founded our nation, nor our local community. Over time an understanding has grown among many preservationists that the stories that need to be saved aren’t just the happy stories — the grand, expansive stories that make us feel good inside. Those are important, but we also need to preserve the ignored stories, the underlying stories, even the difficult stories. Remembering our past means remembering all of our past, in all of its diversity. It’s through a holistic understanding of where we come from, that we’ll be able to grapple with who we are today, and hopefully with where we’re headed as well. The Museo de las Tres Colonias is open on the third Saturday of every month. We’ve done a pretty spotty job in Fort Collins when it comes to preserving our diverse histories and educating young folks and newcomers about who we are, and who we’ve been, as a people. The Museo de Las Tres Colonias is an example of a landmarked property that helps us to remember the stories of early immigrants. In the very early 1900s, Germans from Russia were actively sought and brought to the Front Range in order to work the beet fields for the sugar factory that was built in 1903. As World War I started up and German immigrants were no longer able to enter the country, the local business folks turned to Mexicans for a cheap supply of labor. 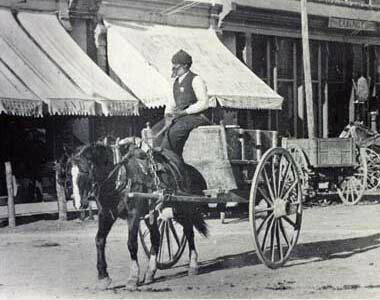 Recruiters were sent to southern states, such as New Mexico and Texas, to find recent immigrants who would be willing to move to Colorado and work in the fields and factory. It’s very likely that the family of Pedro Ramirez, quoted above, was invited here in the 1920s, and have lived here ever since. Or perhaps he’s descended from one of the Mexican miners that moved to the area back in the 1800s along with immigrants from Ireland, Sweden, and England. 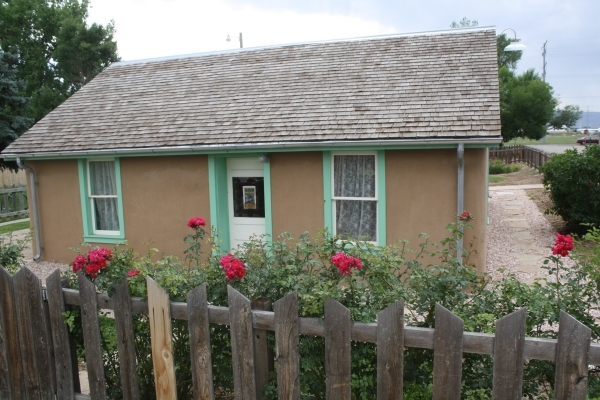 We also have one landmarked house, the Garcia Property at 322 N. Whitcomb, that stands in witness to the many Mexican immigrants that arrived in the early 1900s to the city. But that’s it. One out of every ten people living in Fort Collins is Hispanic, but we don’t come even close to that percentage in terms of landmarked properties. And we only have one landmark that remembers early Asian members of the community — the Chinese laundry on N. College (which I’d be willing to bet you didn’t know was a thing in Fort Collins until just now). Historic preservation is a grassroots movement. Though it’s up to the City Council to make a final decision about whether a property will be designated, it’s up to the property owners to begin the process of landmarking. That puts the weight of protecting our history squarely on our shoulders. Though our elementary schools include a unit on local history, they don’t cover racial issues, difficult social issues, treatment of women, nor any number of other difficult things that are inappropriate for that age group. Yet when our children grow older and do start looking at these hard social problems in society, the scenarios they discuss tend to be distanced, not brought close to home where we might realize that these struggles continue even up to today in our own community. Every post I write is an act of confronting my own ignorance about our local history. I have written about the lives of women and men; Black, White and Hispanic; rich and poor; immigrant and citizen; lawyers, drunkards, and the religiously devout. Every story is an opportunity for me to realize that people are people. We face difference circumstances and we respond in various ways, but in every story I’ve found points of commonality, sympathy, and admiration. Most of us don’t have time to do a deep dive into our local history. But by reading an article or two a week on Forgotten Fort Collins, I hope that over time, we will together gain a broad, balanced sense of where we’ve come from and who we are as a people. Stephanie Meeks devoted an entire chapter to the issue of historic preservation and our diverse national history. She had such good things to say that I just want to share a few more quotes from her book. I highly recommend Stephanie Meeks book, The Past and Future City. It covers a broad variety of topics related to historic preservation, from transportation and urban design issues to inclusiveness, affordability, and the tremendous power historic preservation has to unlock the economic and social potential of our cities.